When you’re replenishing your stock of class “C” components, it can be a real hassle getting accurate counts, stocking the correct amounts, and locating the high-quality parts that you need. To simplify the process, a lot of manufacturers utilize vendor managed inventory programs to maintain their stock levels. If, however, your VMI provider doesn’t have access to a large inventory of products, you may experience more troubles than you solve. Because of this, it is essential to work with a vendor managed inventory provider that carries a massive stock and, more importantly, takes steps to ensure that the items they stock are high quality and reliable. In today’s post, we’re going to look at how ASF Components rises to this challenge by maintaining a large inventory of the industry’s best class “C” components. If you can’t get everything in one spot, what’s the point of utilizing vendor managed inventory? 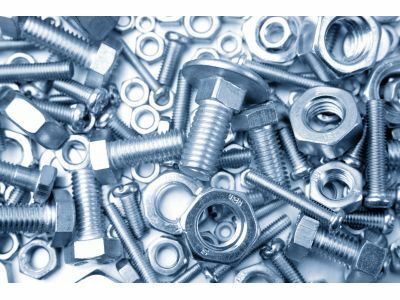 Whether you need to maintain a stock of screw, bolts, or nuts, ASF Components has the largest in-stock inventory of class “C” components available. You shouldn’t have to compromise on quality just to experience the convenience of always having parts in stock. ASF Components takes extreme steps to ensure that all of our class “C” components are high quality. We are ISO 9001:2008 certified and have continually shown our dedication to delivering reliable, long-lasting parts. At ASF Components, we strive to provide our customers with access to the parts that they need, when they need them. Whether you’re looking for ongoing VMI services, a simple one-time replenishment, or any of our other services, we’re confident that you will be wowed by our commitment to quality, reliability, and customer service. If you’ve been looking for a new VMI provider, be sure to contact us today to discuss how we can help. © 2019 ASF Components All Rights Reserved.